Axon: Creative Explorations has published one of Andrew’s poems, “Campfire Robins”, in its latest edition, Vol 3, No 2, October 2013. Axon is a scholarly and non-commercial journal of creative practice and theory published under the auspices of the University of Canberra. One of Andrew’s poems has been published in the November 2013 issue of FreeXpresSion magazine. The editor selected the poem “Suddenly Gladdened” to accompany a favourable review of Gestures of Love: The Fatherhood Poems. Fremantle Press has published a new book of Brian Simmonds’ paintings. His last book, the river, focused on the Swan River and included two of Andrew’s poems. His latest book,rottnest island, focuses onof Rottnest Island and includes.. The painter has chosen Andrew’s poem “Beachcombing” to accompany his painting “Wintertime, Bathurst Lighthouse in the distance”.. Concerning rottnest island, the publisher states: “Just 19 km off the coast of Fremantle in Western Australia, Rottnest Island – fondly known as ‘Rotto’ – is visited by over half a million people each year. Award-winning artist Brian Simmonds brings one of Australia’s iconic islands to life with his oils and mixed media colour paintings and sketches. 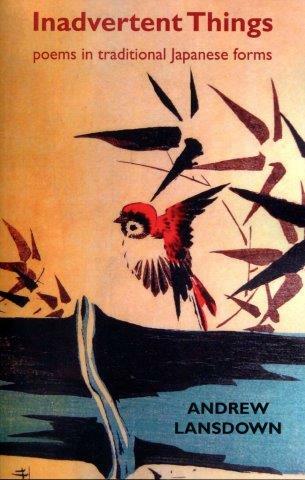 Simmonds’ beautiful paintings and illustrations accompany uniquely local poetry and prose from well-known Australian writers such as Tim Winton and Craig Silvey.”. rottnest island also includes poems by two fine Western Australian poets, Hal Colebatch and Nicholas Hasluck. 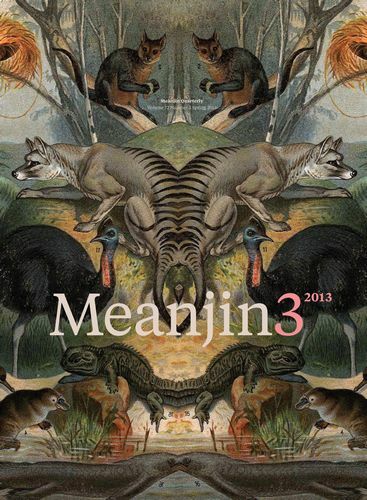 One of Andrew’s poems, “Reading at Lunchtime”, is represented in current issue of Meanjin (Volume 72, Number 3, 2013). 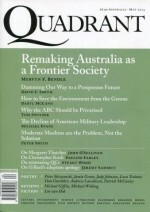 Details about this issue of Meanjin can be found here: http://meanjin.com.au/editions. it left a stain like a tear. Andrew’s poem, “Temple Ladle”, a choka written after visiting Hozen Temple in Osaka, Japan, has been published in the latest issue (Volume 3, Issue 1) of the Australian Poetry Journal. 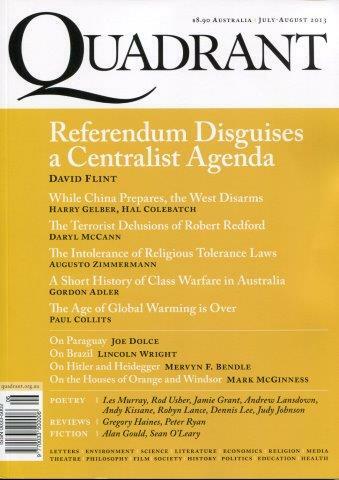 Andrew’s poem “Afterphase” has been included in the Inkerman & Blunt anthologyAustralian Love Poems 2013, edited by Mark Tredinnick. Publisher Donna Ward states in the front of the book that 632 people submitted 1,501 poems for the anthology, of which 200 poems by 173 poets were chosen. 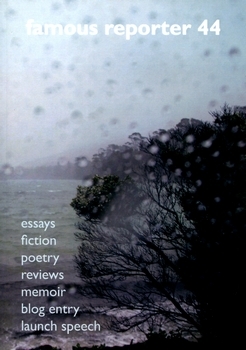 Walleah Press (North Hobart, Tasmania) has published a new collection of Andrew’s poems. Titled Inadvertent Things, the collection consists entirely of poems written in the traditional Japanese forms of haiku, tanka and choka. Read the blurb and several poems from Inadvertent Things on this website here. Purchase Inadvertent Things with PayPal through this website here, or through the Walleah Press website here, or you can order it through your local bookshop. Andrew’s poem “Black Chook” has been published in Oxford English 2: Curriculum Knowledge and Skills. 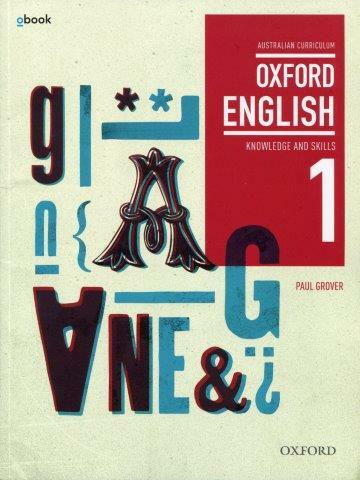 This book by educationalist Paul Grover, is the first in a blended print and digital series written for the Australian Curriculum: English. 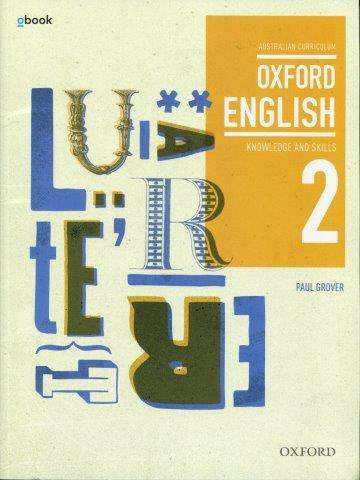 It is published by Oxford University Press (South Melbourne, 2013). “Black Chook” is republished from Andrew’s collection of children’s poetry, Allsorts: poetry tricks and treats. and south is the place to go? Four of Andrew’s poems were published in the July-August 2013 issue of Quadrant. One of the poems, “Five Flowers”, consists of five tanka – (1) “Composition”, (2) “Plenty”, (3) “Celebration”, (4) “Wheel” and (5) “Drive”. Another of the poems, “The Darkness Tanka”, consists of three tanka – (1) “This Morning”, (2) “At Nightfall” and (3) “Tonight”. The other two poems are “Artistic Licence” (a choka) and “Correspondence” (a tanka). All these poems will appear in Andrew’s new book, Inadvertent Things: poems in traditional Japanese forms, which will be released by Walleah Press later this year. 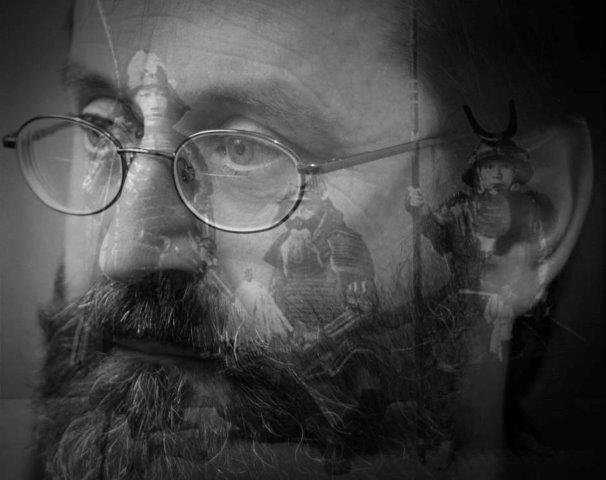 Singer-songwriter Joe Dolce has put Andrew’s poem “Samurai” to music. Joe has posted a demo of the song on Soundcloud, herehttp://soundcloud.com/joe-dolce/samurai. The photograph of Andrew (above) is one that Joe collaged to go with “Samurai” for Soundcloud. 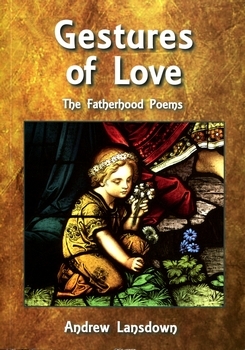 Wombat Books/Even Before Publishing has published a new collection of Andrew’s poems,Gestures of Love: The Fatherhood Poems. As the subtitle indicates, the collection is a thematic one, with all the poems focused on family and fatherhood. While some of the poems are new (uncollected), most have been taken been selected from Andrew’s other poetry collections. Few poets have explored the weight and wonder of fatherhood like Andrew Lansdown. Over the years he has established a high reputation for his subtle, insightful poems about his wife and children. Now, for the first time, Andrew’s widely-published, award-wining poems celebrating family life are gathered in one collection,Gestures of Love. These fatherhood poems are bound to delight and move all readers—not only parents, but also anyone interested in the joy, grief and quirkiness of the human condition. Gestures of Love (pp. 136) is priced at $15.00 and can be bought through this website or from Wombat Books or ordered through you local bookshop. from the taut timpani skins. of bamboo bumped by breezes. These two tanka are included in Andrew’s forthcoming book, Inadvertent Things: poems in traditional Japanese forms, scheduled for publication later this year by Walleah Press. Andrew’s poetry is represented in a new anthology, None So Raw As This Our Land, published jointly by the Association of Stories in Macao (ASM), Cerberus Press and the Westerly Centre at the University of Western Australia. 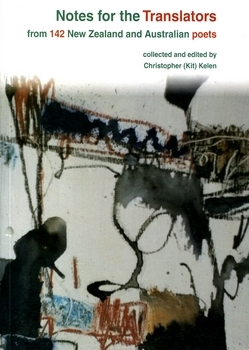 The anthology contains the original English texts of poems by 17 Western Australian poets along with translations of those texts into Chinese. The editor is Christopher (Kit) Kelen, while the translators are Iris Fan Xing, You Chengcheng and Song Zijiang. 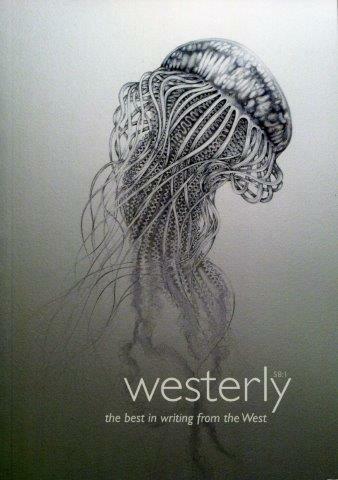 This unique anthology is the product of an equally unique project, involving Chinese translators from the University of Macau, and members of the project’s host, the Westerly Centre at The University of Western Australia. Intense discussion between poets and translators enriched the sometimes barren work of translation, resulting in a truly cooperative work, bringing together the poetry of seventeen West Australian writers. Their work demonstrates the strength and breadth of Western Australia’s writing culture as well as the impressive range of their voices. The anthology is significant as it makes that poetry available to a culture with the largest number of language speakers in the world. Yet this book delivers something even more important, creating connections between cultures through poetry and rendering effective and affective, those imaginative meetings. 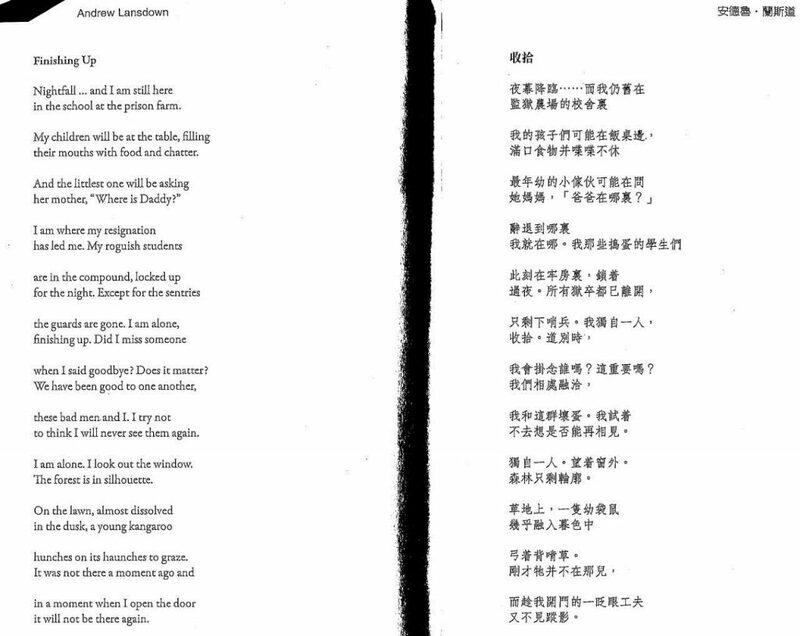 Andrew’s poem in the anthology, ”Finishing Up”, is translated by You Chengcheng. 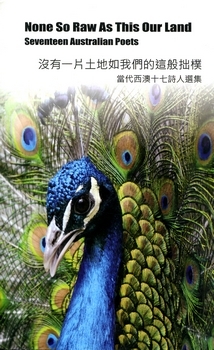 Both the poem and the Chinese translation are included below. Notes for the Translatorsintroduces the poet-translator to the work of 142 contemporary New Zealand and Australian poets. It is a pedagogic work, for use inside and outside of the classroom. Its aim is to help train poets as translators, and to train translators to be poets. This is a practical book—a book with a simple facilitative aim. From the poems presented in these pages, and from the accompanying notes provided by their authors, translators will be able to offer a collection of contemporary Australian and New Zealand poetry to readers of languages other than English. With a few exceptions, each poem in the book is short (forty lines or less), the accompanying notes only a page or two of reading; therefore it should be possible to make a first draft translation for each poem in a single sitting. And so—from the materials offered here in this book-for-the-making-of-books—it should be convenient to commence the step-by-step building of a foreign language anthology. This is a maker’s, not a critic’s, book. The notes are there to help the reader/translator understand a poet. The notes are from one poet to another; they are a helping hand across the cultural/linguistic gulf. If they are, needs be, written to some extent blindly (that is to say, without full knowledge of what lies across the gulf), then that will be a part of their beauty, of their poetic quality, and it will be a measure of the trust we place in strangers when we dedicate our hearts to the project of reaching a reader. In the past week, two uses of this website bought eight of Andrew’s books. One purchased five books using PayPal, while the other purchased three books using a downloadable Order Form. Both methods of purchase will continue to be available for the foreseeable future. To use PayPal to purchase books, go to the BUY BOOKS page by clickingHERE, then select the book/s you want and add them to your Cart. If you prefer, you can download an ORDER FORM by clicking HERE, then print it out, fill it out and post it off with a cheque or money order. The literary journal, famous reporter, has published one of Andrew’s poems, a 4-haiku sequence titled “Rain”. The poem appears in the current issue of famous reporter, number 44. Among the 226 pages of stories, poems, essays and reviews in this issue, there are fine poems by three other Western Australian poets: Shane McCauley, Kevin Gillam and Lucy Dugan. FreeXpresSion magazine has published four of Andrew’s poems in its February 2013 issue – ”Opulence”, “Homecoming”, “Departures”, “Windmill”. The National Library of Australia has just released the latest book in its Little Book of …series – Little Book of Banksias. 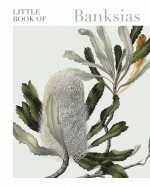 The editors have included one of Andrew’s poems, “Banksia”, from his first poetry collection,Homecoming. The banksia is quintessentially Australian. Known and loved for its brush-like flowers and sweet honey nectar, the plant embodies both the beauty and harshness of the Australian landscape. Little Books of Banksias features poems and extracts by some of Australia’s greatest poets and explorers, including Dorothy Hewett, Archie Weller, Douglas Stewart and Edward John Eyre. These insights sit alongside works by renowned artists, such as Ellis Rowan, Adam Forster and Ebenezer Edward Gostelow. Inspired by the collections of the National Library of Australia, Little Book of Banksias is a delightful showcase of some of our most beautiful Australian ‘bush candles’. Andrew’s poems also appear in three other books in the NLA series –Little Book of Butterflies, Little Book of Trees, Little Book of Cats. Another of Andrew’s poems has been selected for Little Book of Orchids, scheduled for publication later this year. Andrew’s books can now be purchased on this website withPayPal. Many buyers will find this more convenient than posting off an order form with a cheque or money order (although this method is still available). Click here to check out the BUY BOOKS page. The January-February 2013 issue of Quadrantcontains four of Andrew’s poems: ”Sand-Bathing”, “Perceptions” and ”Everlastings” and ”Blues”.